I have really loved putting together the natural gradient series, particularly thinking about designs which play with colourful shades and then going au-naturel on them! 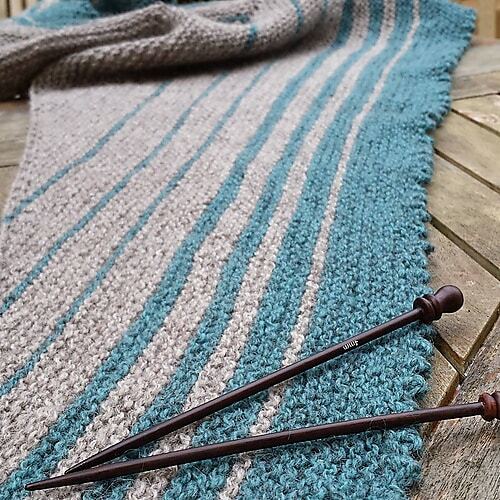 When I was planning the posts I espied on Instagram the lovely Louise Tilbrook had released a new shawl pattern. 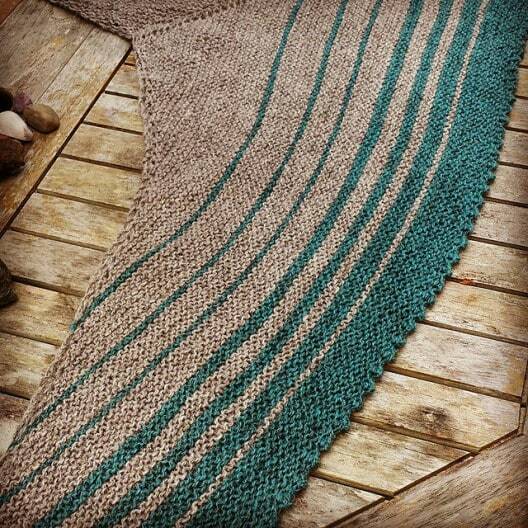 I Heart Stripes is a 4ply triangular shawl with warm garter stitch and a play of stripes of differing widths. 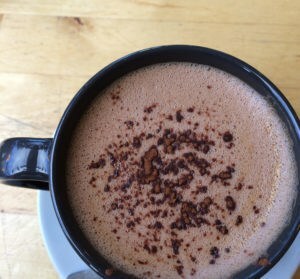 The sample was knit in Blacker’s now-near-mythical Cornish Tin, which was so popular it sold out in no-time at all! 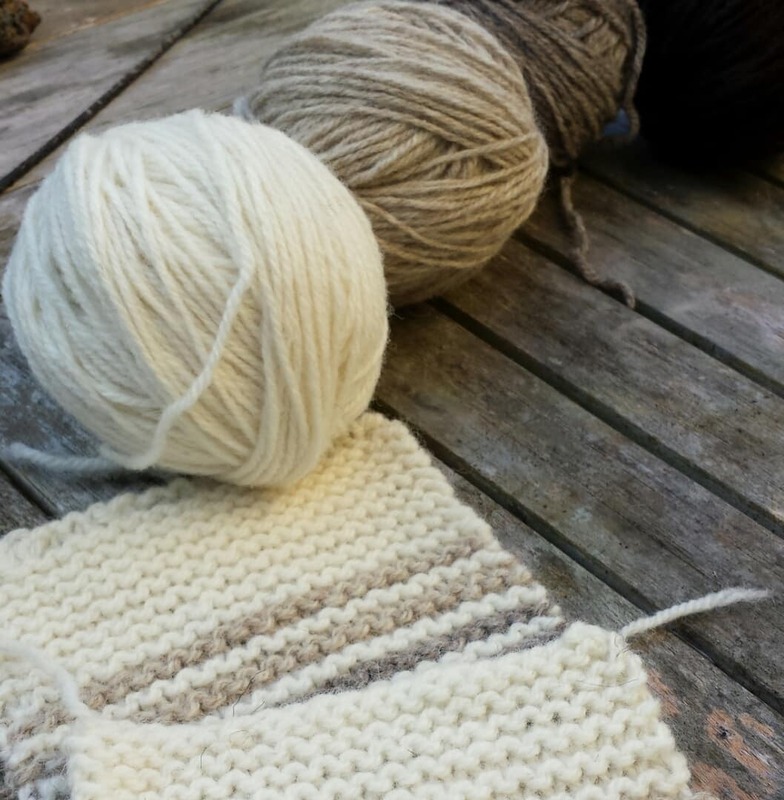 You need 100g of a main colour and small amounts for the stripes – I saw it and I just thought….imagine those stripes in a natural gradient! 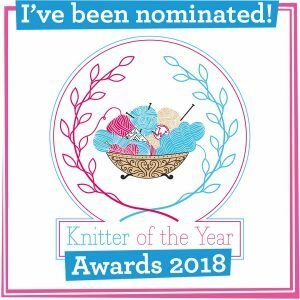 I thought I would ask Louise to pop on over to KnitBritish for a quick-fire “five questions with” and tell us a little bit about the shawl, choosing colours and going natural! I heart Stripes is all about fun and play, isn’t it? I love patterns that use up all the yarn, or which allow you to be flexible and use up leftovers. I wanted to create a pattern that was simple and straightforward and that people could adapt to put their own unique twist on it. Playing with colour is definitely evident in your design but I set you a little challenge to come up with some yarn ideas for a natural shade version. 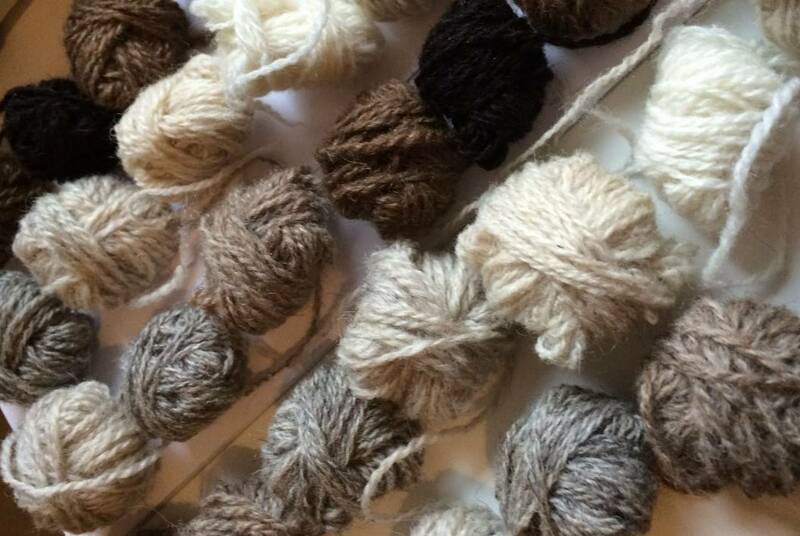 There are such a range of yarns and natural shades out there, so which breeds and natural palettes might you suggest and why have you chosen these? 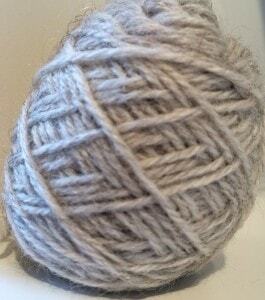 I was so pleased with the results I got from the Blacker Yarns Cornish Tin, that I went straight back to their website to see what other, more sheepy shades they had. 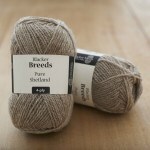 The Shetland DK really jumped out at me as having colours that would work really well together. The dark shade is really very dark, but having had a chance to play with it i think I can use it in a shawl design in a way that ties all the other shades together. 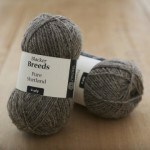 Another sheepy yarn which would work really well is The Knitting Goddess Britsock. 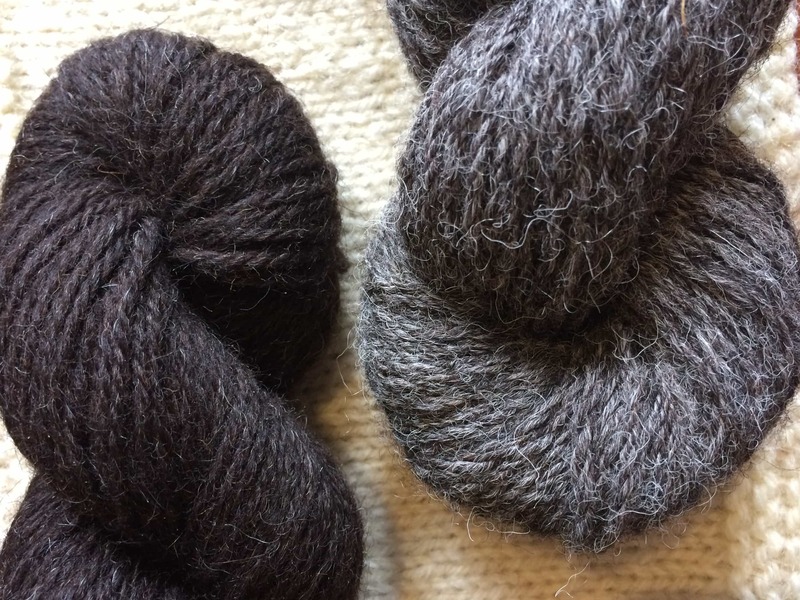 Joy has some great dyed shades as well as a natural and I love how the very dark Zwartbles fibres show through the dye [in the 4ply British wool with alpaca range]- giving a really subtle heathered effect. So pretty! I have heard from some knitters that it is harder for them to choose natural shades than colourful ones – did you find it difficult thinking “natural”? I’m a big lover of grey so it isn’t too much of a stretch for me. It’s easy to think that natural shades just mean brown but when you look closely at natural shades you often see heathered hints of other colours. They are more subtle, certainly than your bright, jewel tones but no less beautiful for it. Is your approach in design more lead by colour or yarn choice? I tend to go for the yarn first, depending on the texture or pattern I have in mind, with colour being a secondary choice. 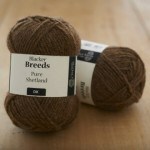 Has your exploration in the breedswatchalong helped with your yarn choices? Definitely. 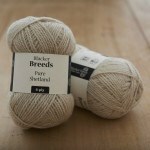 I am much more aware of single breed yarns that I was previously and also of the diversity that we have in the UK. I recently picked up some Gotland 4ply yarn (again from Blacker Yarns) and am currently having fun designing a pair of socks with it. 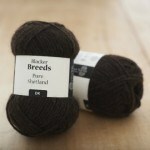 Blacker Yarns have kindly offered me yarn support for a dk weight shawl to be released very early in the New Year. It uses the Shetland dk yarn and will be a warm, squishy, garter stitch gradient shawl – perfect for wrapping up in during winter. Thanks so much to Louise for dropping by and leaving us with a tantalising image of her swatches for her latest design – if you are like me, I bet you can’t wait for that one! I heart Stripes costs £3.60, and is available from Ravelry. Do also have a lovely browse in Louise’s Ravelry store – you are sure to find incredible sock designs, as well as shawls and blankets and Louise has offered one lucky reader their choice of pattern from her store! To enter go over to her Rav store and tell us which pattern you’d chose in the comments below. The give-away closes on 16th December. Good Luck! I love the cables on the Samhain socks! What lovely designs. My choice would be autumn crocus. I’ve been searching for simple cable-y sock patterns for my handspun and several of her patterns are perfect. In particular, I love Green Gable and Honeycomb Cables. My absolute favorite is Comb Gill though several others are close contenders. Garter Ripple Squash immediately leapt out at me – it’s time for another baby cluster at work so I need to get going on my present knitting and I love giving a blanket – might even be able to make this one from stash yarn! 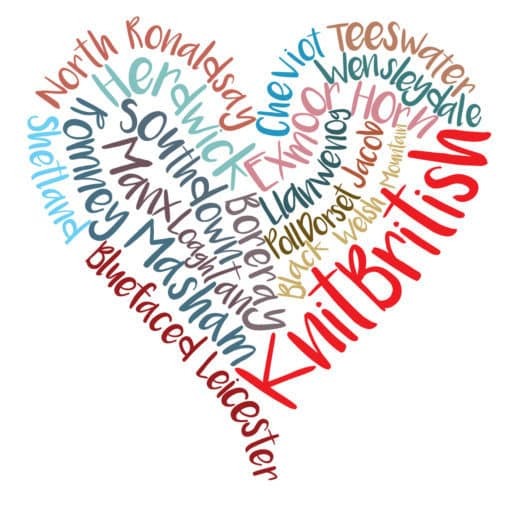 As one of the very lucky possessors of two skeins of Cornish Tin, thanks to KnitBritish enabling, my favorite must be the I Heart Stripes Shawl, though I do appreciate the introduction to the other lovely patterns! Hi Louise! I would love to make Louise’s Winter Footsteps socks. I am a fan of winter and walks in the snow, and slightly lacy socks. There are so many lovely patterns in her Rav shop, but this one caught my eye. Thx! I love the Autumn Crocus shawl. I particularly love the cable on the Comb Gill socks, but then I am also a sucker for any of the patterns with a Lake District-related name! I love the Honeycomb Cable socks. The Hoar Frost socks are irresistible and the Autumn Crocus shawl is so tempting. I love shawls and socks, but the pattern I really fell in love with were the Expresso Socks. I have a feeling that I would go for an Autumn Crocus shawl, though I will admit I’m tempted by Stripes and also so many of her socks. Well, The Garter Ripple Squish blanket looks very tempting, but I also love the Sty Head Tarn socks! I love Autumn Crocus! It is just gorgeous. It would have to be the Green Gable socks for me! What a lovely collection of designs! My eye was drawn particularly to the Autumn Crocus shawl, which I find charming. I would like to knit the Bleaberry Tarn socks. I particularly like the Bleaberry Tarn socks. Hey Margaret! Random.org picked your comment number as winner! Can you send me your ravelry name and we can arrange your prize of the Bleaberry Tarn socks! Next Postepisode 48 Kitsmas clubs!